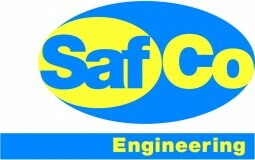 Protex Systems are the UK partner of SafCo Engineering. We are pleased to provide systems in accordance with NFPA-72 and EN54. Our experienced engineers, with knowledge of the technologies available, are able to propose the best product for the specific application. Whether it is a single fire panel or a more complex system composed of many local panels in a network, including communication capability to the Control Room DCS, we are able to support our customers to achieve the most efficient solution. SafCo Engineering are an official partner of Siemens Building Technologies.